This modern apartment is situated on the first floor and consists of 2 bedrooms, 2 bathrooms, a guest lavatory, tiled open plan living area and a kitchen with granite tops and a breakfast nook. 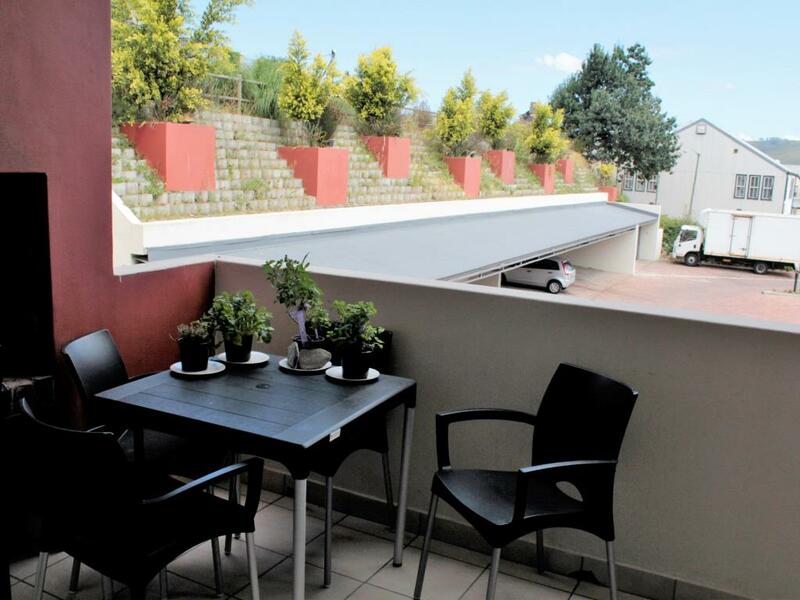 The balcony has a built-in braai and undercover parking is available. The building is conveniently situated close to all main amenities of Knysna and within easy walking distance.